We are hiring students who are passionate about the Library and it's services. Applications are now open for the fall term for the Library Ambassador program. The United Way’s annual Day of Caring is an experience that goes beyond fundraising, giving volunteers a hands-on connection to the work done by the organization. Over 100 volunteers across Waterloo Region took part in 15 projects aiding United Way-sponsored programs. Money can’t buy everything, and sometimes a project just needs a few extra helping hands to get the job done. We will be performing scheduled maintenance on the Library catalogue Monday, June 26 at 8:00 a.m. until Thursday, June 29 at 5:00 p.m. The University of Waterloo's institutional repository, UWSpace, has just uploaded its 500th article. This Library service was created to host the publications of Waterloo faculty, students and staff. Building on the success of our electronic theses and dissertations deposits, UWSpace now provides researchers with a free, secure and long-term platform for the presentation, dissemination and preservation of their research and scholarship. 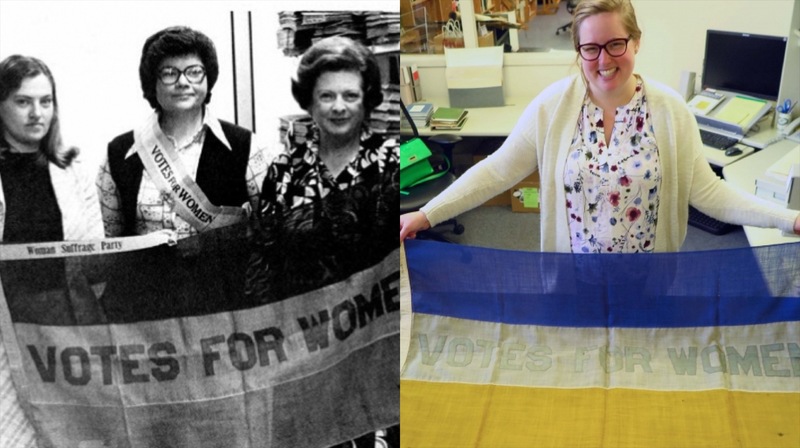 You likely know that University of Waterloo is a global leader in the United Nation's HeForShe campaign, but did you know we’ve had a legacy of women’s studies dating back to our earliest years? This June, University of Waterloo Library’s Special Collections & Archives (SC&A) is celebrating the 50th anniversary of receiving the Lady Aberdeen Collection.